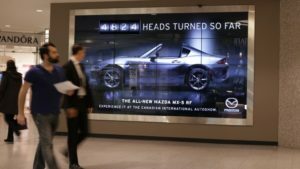 Video walls are cropping up more and more in the digital signage landscape, from airports to malls and beyond, using multiple displays to create a single, unified display showing either one large canvas or zoned content to significantly impact viewers. But while a large display looks fantastically awesome when done well, the size also has the capability to enlarge any mistake in the display. First, before deploying your video wall, know your space, understand your environment and the audience you want to reach. A single display might not be enough to transform a large space. People are more inclined to take notice when they see multiple screens on the wall which has the tendency to engage audiences with a series of synchronized displays. 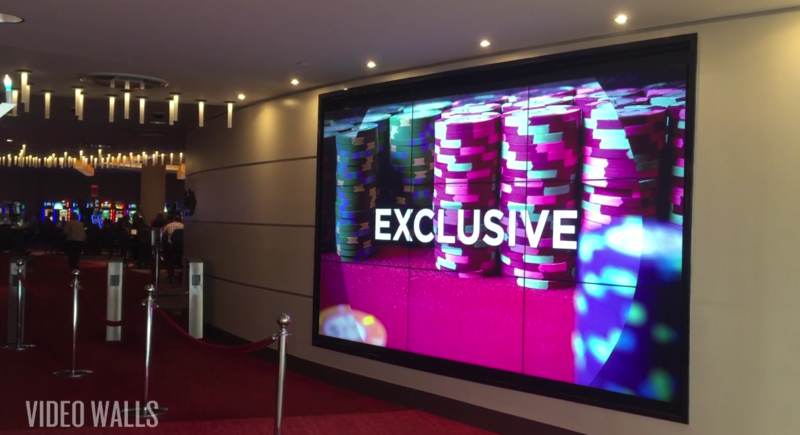 A variety of displays can be used to create almost endless designs and configurations for a video wall including the traditional landscape or portrait set-up to the more unique mosaic style. Second, understand the purpose and the goals of the video wall and the content you want to display. Is the goal to drive more sales? Or promote your products and services? Or entertain your audience? Or inform your customers? You should decide whether the video wall will be interactive with the audience via touch, their mobile devices, or if it will display a carefully curated playlist of content. Understanding how the customers will fully take advantage of the displayed content to reach your goals should be a topmost priority. You should strongly consider working with a digital signage creative agency who has experience creating dynamic content for video walls. With that, considering what kinds of content (branding, promotions, art, pertinent information, employee communications, social media, etc.) will be displayed on the video wall (before a video wall is chosen and installed) is also a discussion to be had. As an industry, we must always look through the eyes of the intended audience. This will define the best way for interaction and for application. It is important that content displayed can be easily visualized and shown with the appropriate hardware and software provided. This is a crucial requirement to be considered before selecting the displayed hardware and associated equipment to drive it. Third, work with a knowledgeable service integrator that can suggest full-service mounting for video walls to align and calibrate the screens and test-run the content. With this, it will be easier to maintain the service and level of display. While average advertisements are not more than 20 to 40 seconds long, content should be edited accordingly, lasting not more than 20 or 30 seconds for targeted ads. Finally, the key to any video wall’s success is continuous originality. Video wall content that is constantly displayed tends to be ignored over time and can quickly become wallpaper to a repeat audience. Continual renewal of content can engage the audience, hold their attention and compel them to take action.